For the past eight years – first as a blogger (at www.NoneSoBlind.org), and then as a candidate for Congress here in Virginia’s 6th District – I have fought to help my country confront the pathology that has arisen in our times in the American political system. I am now more optimistic than I have been in a very long time that we are on track to resolve that immediate crisis successfully. If President Obama can continue to lead in the way that he did during the just-finished campaign, and that he has since the election, he and his Democratic allies (including us) might well be able to go a long way toward exorcising that “sick and broken spirit” that has lately taken over the political right in this country. But this crisis has revealed some serious vulnerabilities even in the more constructive and decent parts of our civilization. And I’m now embarking on a new mission that, by addressing some of those vulnerabilities, will work to strengthen our long-term efforts to create a better America and better world. It is troubling, for example, how many Americans –even on our side of the divide– have been slow to see, or have failed to see at all, the extraordinarily dark nature of the force that has arisen on the political right. Never before, I would argue, has so destructive and dishonest force ever reached center stage of American politics as the one that’s taken possession of today’s Republican Party. That failure to see what’s right before our eyes is a sign, I believe, that too many Americans lack a mental map that contains a space for spiritually dark forces. I see a way to provide that deeper conceptual space that fosters a deeper spiritual resonance that can empower us to fight effectively to advance our sacred values. It is troubling, too, that whenever our artists depict the future of our civilization, in films or fiction, those imagined futures are bleak, or chaotic, or soulless. It can say nothing good about where we are as a nation, as a civilization, as a species that the kinds of future we seem able to imagine are so unappealing. This lack of positive vision is a sign, I believe, of our intuitive sense that we are not in control of our destiny. I see a way to address this dimness of vision. My goal in this project is to provide an integrated and fairly comprehensive framework for understanding how the human world works. And more specifically, understanding the forces over which we need to gain control if we –- Americans, humankind —- are to be able to create a desirable future. This project fits squarely with what I’ve done over the past more-than-forty years. My whole adult life, I’ve felt continually drawn to look at the big picture and discern the forces, unleashed by the dynamics of our systems, that shape our destiny often in harmful and destructive ways, and to try to devise ways to allow wise human choice to prevail. In this new project, I am aiming to put it all together in a vision that I hope will combine intellectual clarity with spiritual aliveness and moral passion. Ideas can move history. The American Revolution and its resultant constitutional government were the fruit of ideas that took generations, and much hard-lived historical experience. Today’s world seems sorely in need of a vision, or ideology, that can inspire and empower people to fortify the power of goodness in its contest with the kind of destructive forces that have become so disturbingly visible in our country. The chances of my hitting the full home run are admittedly a long shot. But I’m confident we can at least get on base with a clean single or stand-up double. And who knows? Sometimes the long shot comes in! I need your help. Indeed, with so ambitious an undertaking, and with me no longer a spring chicken, I need all the help I can get. Will you swing for the fences with me? I’m already beginning to construct — in public — this ambitious edifice of ideas and vision. On my campaign Facebook page, I’m starting to post small pieces of this Big Picture and to begin to put them together. As time goes on, these will be refined and ordered into finished works designed to have an impact on the world. Here are some of the ways you can help? • Bolster the effort there by commenting with your ideas, your questions, your challenges, your advice, your encouragements—whatever you feel able to add that will fortify the project and make it more of what it should be. • Spread the word to others about what we’re up to. Think about the people you know who would value an integrated vision of how the human world works, and who care about whether the good, the true, and the beautiful triumph over the evil, the false, and the ugly. • Contribute funds, if you’re willing, to help defray the at least several thousands of dollars of costs I envision for the project during this year. (I’m still working for nothing, as I have since 2005 with my NoneSoBlind website and then with my campaign.) Contributions can be sent to me at 86 Sunset Ridge/ Broadway, VA 22815. Your help and support and encouragement will be very much appreciated. 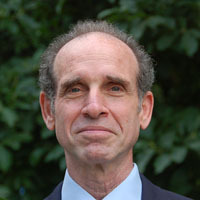 Andy Schmookler, an award-winning author, political commentator, radio talk-show host, and teacher, was the Democratic nominee for Congress from Virginia’s 6th District. He is the author of various books including The Parable of the Tribes: The Problem of Power in Social Evolution.